Press Release – Tres Pescados - February 5, 2013 - The 5th Annual Tres Pescados Slam Tournament is set for August 15-17, 2013. 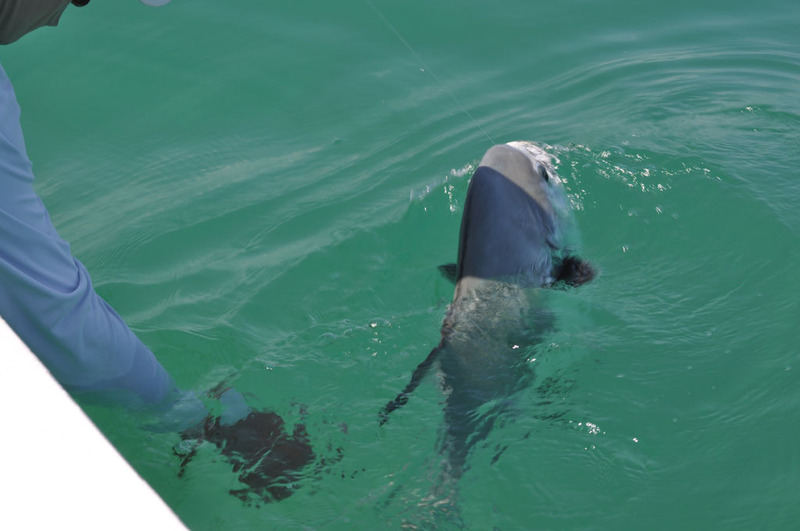 As in previous years, the event will be a three-day catch and release fly-fishing tournament for the grand slam species bonefish, permit and tarpon. We will have a Pro division only, with all Pro Teams guided by a licensed BTB fly fishing guide. This year will see changes in the format of the tournament, mostly in point allocations. We still have sponsorship slots available. Simms Fishing Products have already secured a presenting sponsorship position, leading the way for another fantastic tournament in 2013. Many teams from last year have already signed up. The field of teams is limited to 20 boats, so get your registration in early! Deadline for all entries is April 1st, 2013. This event is a 100% non-profit, volunteer tournament with all proceeds paid out or donated.